Set your alarm and get up before dawn to witness the Eta Aquarids meteor shower. In 2019, the forecast calls for the greatest number of Eta Aquariid meteors to fall before dawn on (or near) May 5. However, the broad peak of the Eta Aquariid shower may present a decent showing of meteors during the predawn hours on May 4 and May 6, too. This shower favors the Southern Hemisphere, ranking as one of the finest showers of the year – in a year when no moon obscures the show. At mid-northern latitudes, these meteors don’t fall so abundantly – and the early morning twilight interferes at northerly latitudes. When and how should I watch the Eta Aquarids? 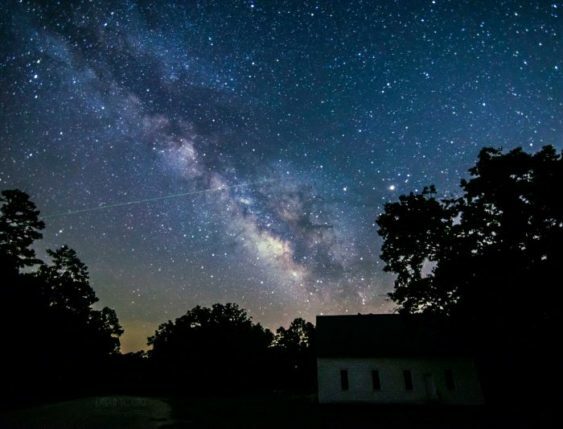 The 2019 Eta Aquariid meteor shower is expected to produce the greatest number of meteors in the wee hours before dawn on May 5. In general, the best time to watch these fast and often bright meteors is in the early morning hours, before the onset of morning twilight. Give yourself at least an hour of viewing time for watching any meteor shower. Meteors tend to come in spurts that are interspersed by lulls. Also, it can take as long as 20 minutes for your eyes to adapt to the dark.